Hi, Nice work !! 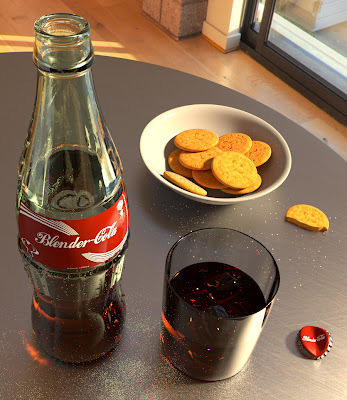 I'm wondering what is the material setup for the coke bottle ? I'll try making it available one of these days. It's not really complex at all.